In the spirit of full disclosure, I am a runner. An avid runner, in fact. But, even members of my own kind annoy me. Maybe it’s because I see myself in them and know deep down that I must also be annoying to some degree. I know I am guilty of some of these points, but I promise, I am on a mission to be less annoying to the people around me even if it means I have to curb my enthusiasm for running every now and then. 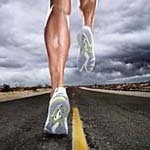 Here is a list of the most annoying habits I’ve noticed in runners. 1. 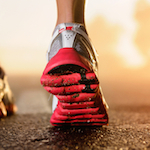 Runners think about running most of the time. Runners talk about running ALL THE TIME. In fact, it’s like an obsession. Even when you find yourself in a moment of rarity with a runner having a conversation about something entirely different than running, a runner has the uncanny ability to somehow bring the conversation back around to running. Example. The non-runner: “The candidates are really looking good for this fall’s election.” The Runner, “Oh, fall is my favorite time of the year to run!” You get me? 3. 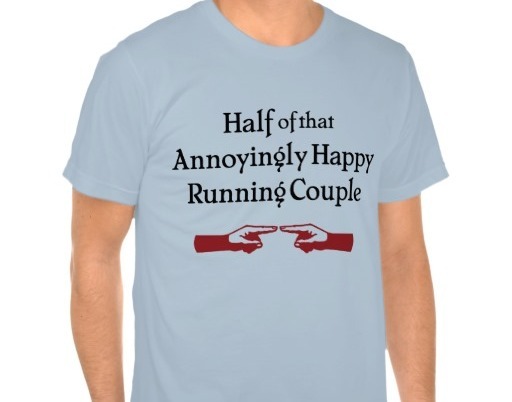 Runners like to wear their race shirts. Everywhere. Heaven forbid the world at large not being made aware that this person, in fact, is a person who enjoys putting one foot in front of the other for sport. Don’t get me wrong, there’s a time and place for wearing a race shirt. But, for some runners, it’s such a huge part of their identity that they wouldn’t dare leave the house in anything but. And, even more annoying is the fact that, for many, dressing up means wearing a newer race shirt. 4. Runners are party-poopers. It’s Saturday night and you want to go out on the town, grab a few drinks, have fun and stay out late with your running friend. Wrong. Your running friend has a long run in the morning. His primary focus tonight is hydration and a good night’s sleep. And, even more annoying is the fact that he will talk to you about that training run he has in the morning, including how many miles he plans to run, what pace he is hoping to run it at, and the ice bath he plans on taking when he gets back home. You might as well stay home and watch Family Guy reruns or else, choose someone else to go out with! 5. Runners are obsessed with their bowel habits. You know you are in the company of runners when the conversation turns to poop. It’s a big deal. No one wants to be caught mid-run with the runs. I can’t say how many race recaps from runner friends have included something about poop. 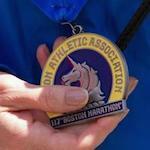 “I was doing great until mile 18 when I suddenly had to poop.” Look online and you’ll find whole forums on the topic. And, runners have become so accustomed to talking about this issue that, for them, it is an acceptable topic to discuss at any time or place and in any situation. So, if you’re a non-runner eating dinner with runner friends, don’t be surprised to find yourself in the middle of a conversation on the matter and wish you were anywhere else. It happens.